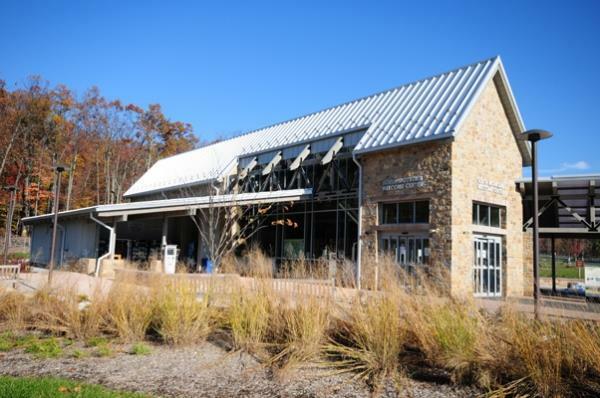 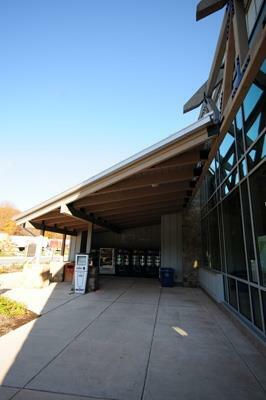 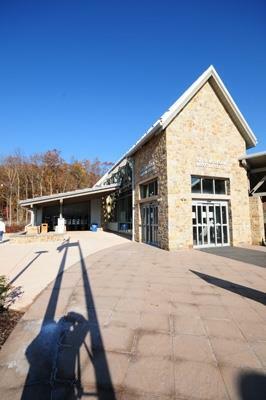 I-70 Rest Area | Lancaster County Timber Frames, Inc. 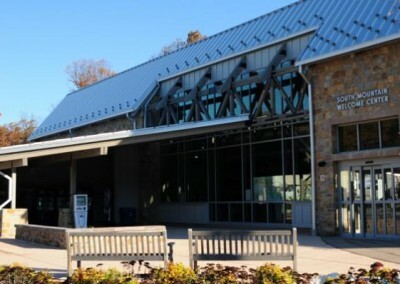 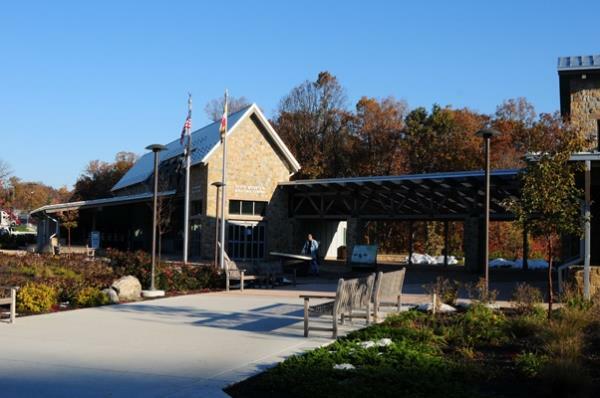 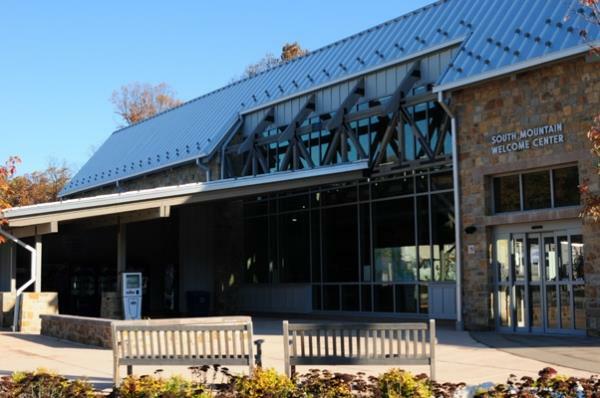 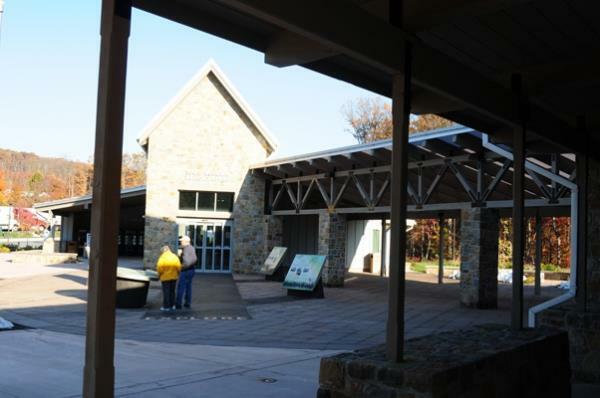 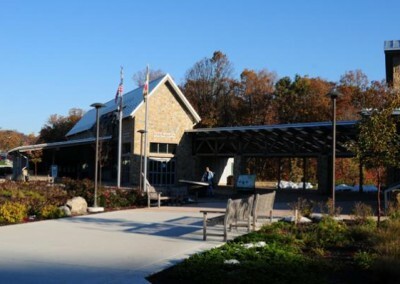 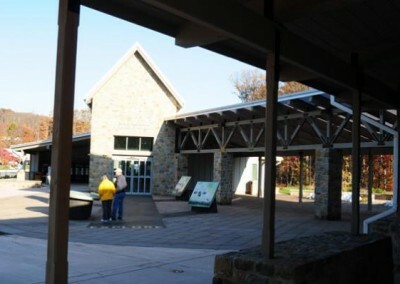 If you’re travelling either east or west on the Interstate 70 in Maryland you’ll come to a rest area about midway between Frederick and Hagerstown, just east of the mountain ridge that is the South Mountain State Park. 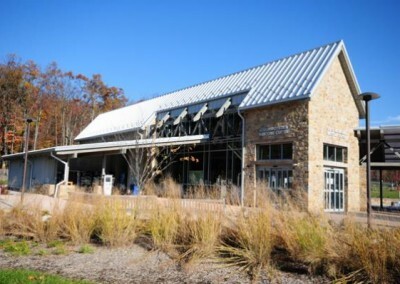 The rest area buildings – comprising a welcome center building, rest room building, breezeway connecting the two, and a covered vending machine area – are all timber framed in a style more industrial than rustic. 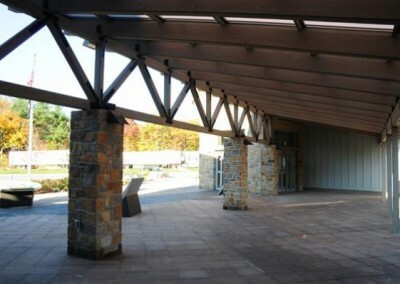 The timbers are painted a warm earthy gray. 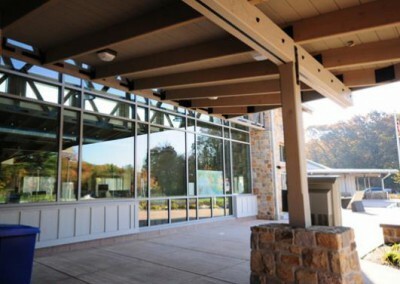 Not many of our projects get this type of finish, but often painted timbers will emphasize the intersecting masses and volumes more than naturally finished timbers will. 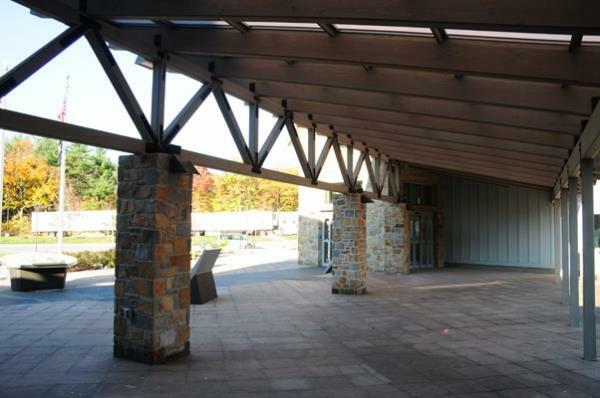 In other words, this type of finish is worth considering, depending on your sensibilities. 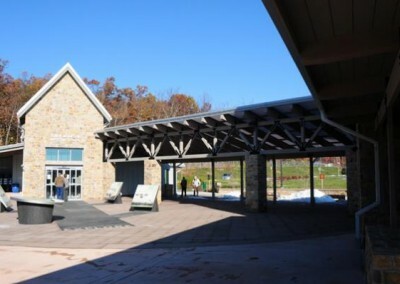 We completed the project in 2010. 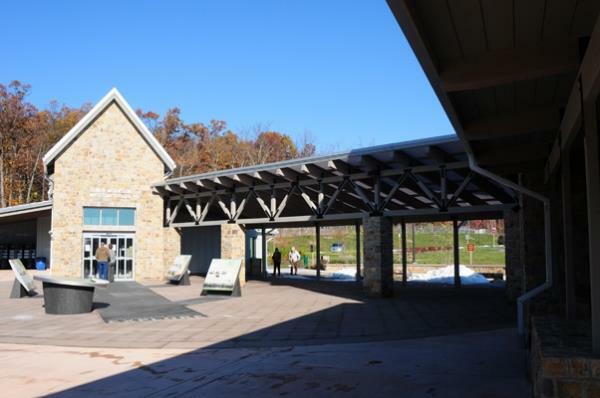 It was the fifth project we did with Kinsley Construction of York, Pennsylvania.